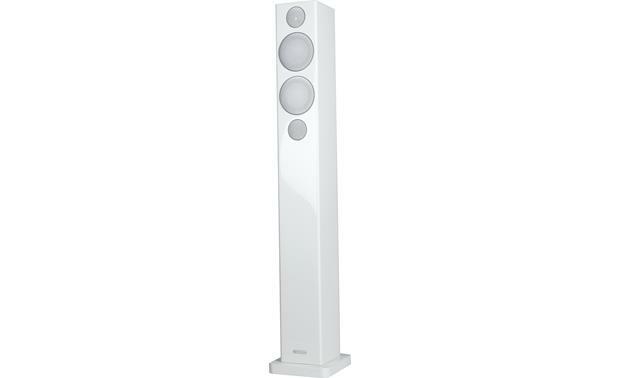 The first thing we loved about Monitor Audio's Radius R270 towers was the way they looked. By buying this product you'll earn up to 1250 Rewards points. 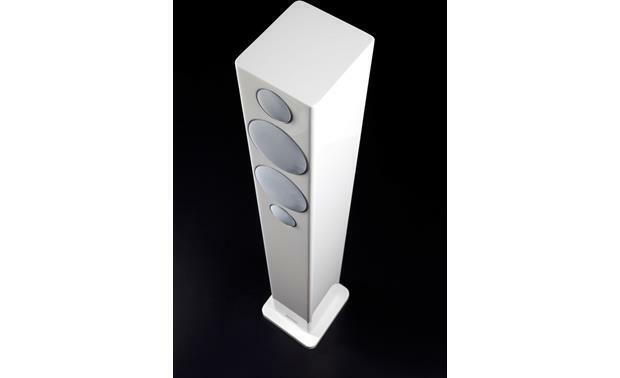 The first thing we loved about Monitor Audio's Radius R270 towers was the way they looked. With their furniture-grade fit and finish, these slender floor-standing beauties make a welcome addition to any room based on their looks alone. But what really blew us away was how speakers with such a small footprint could deliver such dynamic impact, lifelike presence, and spacious soundstaging. Color us impressed! 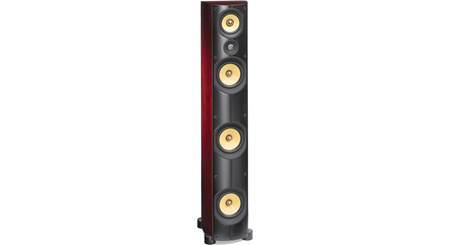 A single pair of R270s would make a killer stereo system. Or team them with a combination of other acoustically matched Monitor Audio Radius speakers and a powered subwoofer to create a space-saving, high-performance home theater. 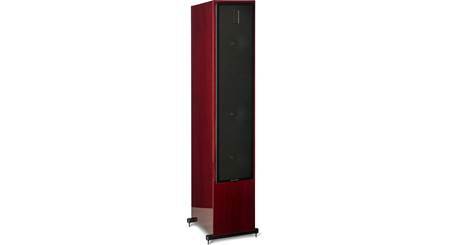 The Radius R270 benefits from many of the technical advances, materials, and construction techniques found in Monitor's renowned, top-of-the-line Platinum series speakers. Its dual 4" woofer cones and 1" dome tweeter are made of a high-tech ceramic-coated aluminum/magnesium alloy. This exceptionally stiff, lightweight material allows the drivers to respond swiftly and precisely to the audio signal for greater accuracy. The tweeter also gets an anodized coating of gold that helps ensure smooth, extended highs. 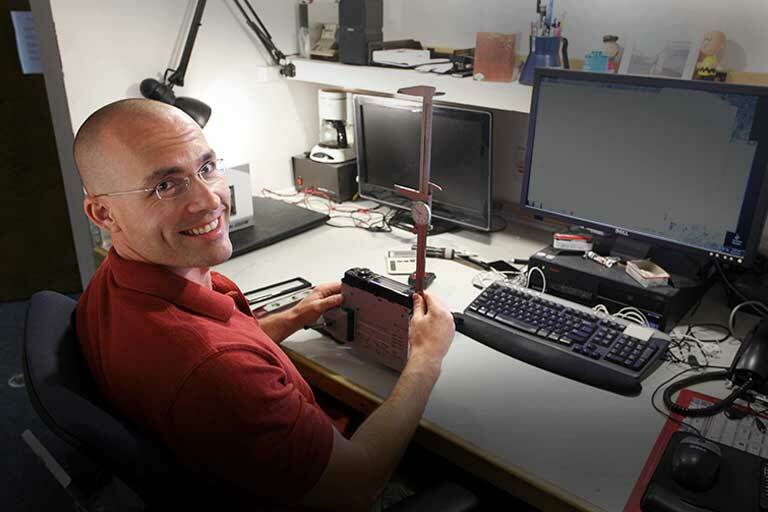 Instead of using conventional screws, Monitor mounts each driver firmly into the cabinet using a single bolt that threads into its backplate, then attaches to the back of the enclosure. This mechanically decouples the driver and front baffle to enhance clarity and resolution, while acting as rigid cross bracing for a more solid, non-resonant cabinet. The lack of visible mounting hardware also adds to the R270's overall look of elegance. 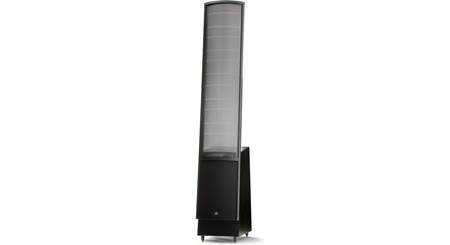 Monitor Audio speakers have long been known for their sturdy, vault-like cabinet construction. The R270's enclosure feels solid and substantial, with an exterior clad in a beautifully finished high-gloss black or white. Two-Way Speaker Design: The Monitor Audio Radius 270 floorstanding loudspeaker features a two-way driver design with one 1" C-CAM gold dome tweeter and two 4" C-CAM cone woofers. The 1" C-CAM gold dome tweeter is optimized to deliver the finest and widest performance within the slim tower cabinet. It benefits from a more efficient rear-venting design, releasing air trapped and compressed at the back of the tweeter dome, and guiding it around the drive assembly to a rear-loading chamber. The two 4" C-CAM woofers feature a large motor and voice coil for increased excursion, high power capability and reduced distortion. The C-CAM tweeter and woofers share an audible consistency producing a smooth transition of frequencies and a sense of realism and cohesion in the soundstage. C-CAM Technology: The 1" tweeter and two 4" woofers of the Radius 270 floorstanding loudspeaker utilize Monitor Audio's proprietary C-CAM speaker technology. C-CAM Gold-Dome Tweeter: The gold dome tweeter is formed from a ceramic-coated aluminum/magnesium alloy, gold anodized to a specific thickness for ideal stiffness and damping characteristics. Its new profile and surround geometry have been developed using advanced modeling tools, to provide the optimum qualities for accurate sound reproduction. The new design moves the first order of breakup to beyond 35kHz, producing a linear response way beyond audibility, which matches the wide frequency bandwidth available from HD music and cinema sound formats. The gold dome is thinner, lighter, more rigid and therefore more efficient than domes made from other materials which are prone to distortion in the audio band. HiVe II Bass Reflex Port: The Radius 270 uses a bass reflex cabinet (front & rear firing ports) with Monitor Audio's HiVe II port design for greater efficiency and bigger bass response from a slim tower speaker. The HiVe II bass reflex port is shaped to have the same effect on airflow as a gun-barrel on a bullet. Rifled grooves inside the port help to accelerate the flow and reduce turbulence, so air moves in and out of the port more efficiently, for a faster more dynamic bass response. Stylish Cabinet: The Monitor Audio Radius 270 features a beautiful precision cabinet in a gloss black or gloss white veneer lacquer finishes. The cabinet's smooth rounded edges, silver trim, and metal mesh grille add to the style and look of the speaker. Gold-Plated Binding Posts: The Radius 270 is fitted with gold-plated binding post speaker terminals that will accept bare wire (up 12AWG), pin-connectors, spade connectors, and banana plugs (single or dual). Rubber & Spike Feet: Four rubber feet come pre-installed for use on hardwood and tile floors. 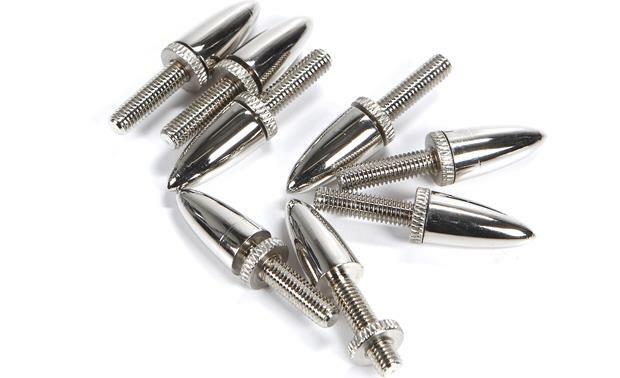 The rubber feet can be removed in order to install the four included spike feet for carpeted flooring. The spike feet are adjustable, so you can level the speaker better to your floor. 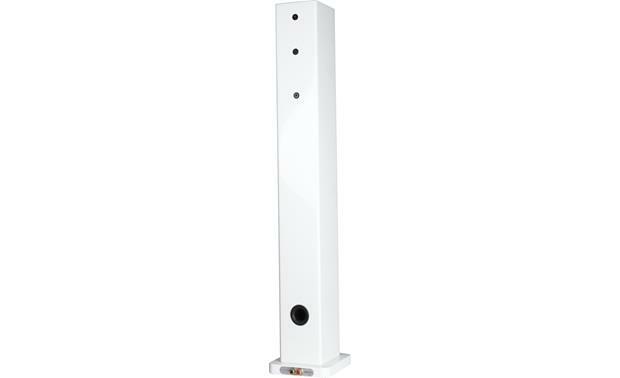 The spike feet add approximately 0.875" to the height of the speakers versus the pre-installed rubber feet. 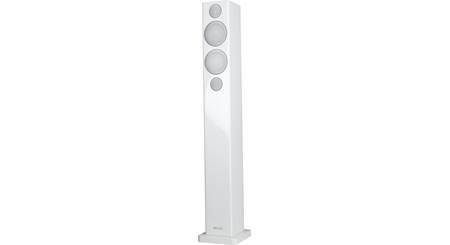 Searches related to the Monitor Audio Radius R270 Floor-standing speaker.